I so much want to comment on what is happening right now. Comment is not the right word. But, unlike the Supreme Court nominee, I will maintain my composure. 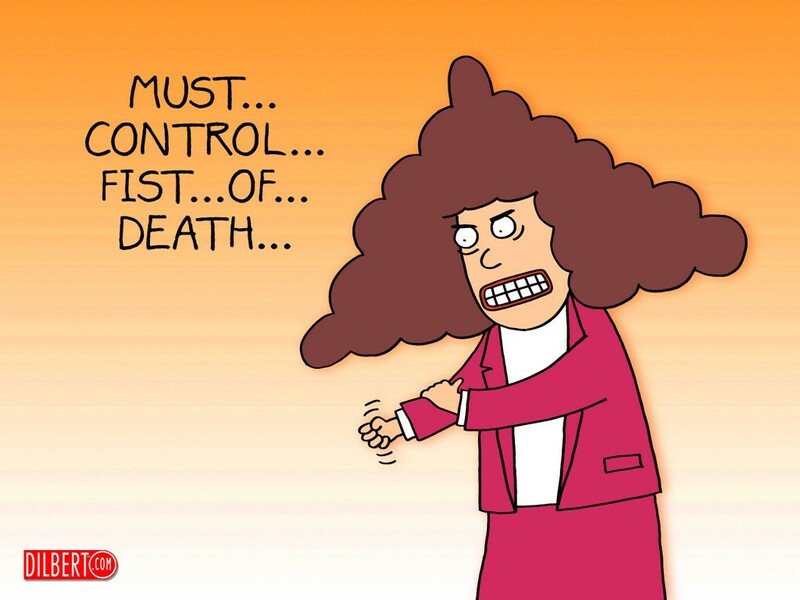 Alice from Dilbert’s office shall be my role model today. Hope you can control your fist of death. If not, use it responsibly and effectively.